The Cut Buddy, a haircut and beard template company that became a viral success and #1 Best-Seller on Amazon co-founded by former Tompkins Chamber Pima Mbwana, will appear on the ABC hit television show Shark Tank on Sunday, November 12th at 9:00 PM/8:00 CT.
Pima worked at The Tompkins County Chamber of Commerce from January 2012 to May 2012 as an intern for the Director of Public Relations and Membership, Rob Lahood, and the Convention and Visitors Bureau from February 2013- July 2013 as a Visitor Information Specialist. Pima is grateful to have learned some valuable business skills through his time at the Chamber which have contributed to the success of The Cut Buddy. Joshua Esnard, Pima’s business partner and the inventor and founder of The Cut Buddy, originally invented the haircut and beard-grooming tool when he was was only 13 years old. After finally deciding to patent and produce the product in 2016, while still in it’s “garage business” phase, a video tutorial showing how to use the product went viral and was viewed on Facebook over ten million times resulting in 4,000 sales in less than an hour. 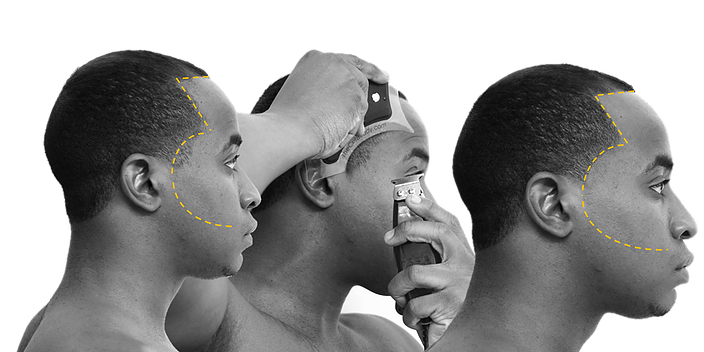 The Cut Buddy has since been featured in GQ Magazine, Forbes, Black Enterprise, The Huffington Post, and on NPR’s How I Built This Podcast. On November 12th at 9:00 PM/8:00 CT on ABC, the company will appear before the Sharks to see if any of them are willing to bite and invest in The Cut Buddy. The Sharks in this episode are Mark Cuban, Daymond John, Kevin O’Leary, Lori Greiner and Robert Herjavic.